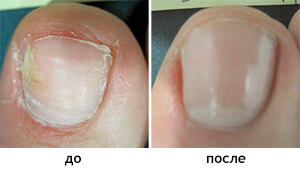 Tell a story about how to cure nail fungus, attach photos and get a prize! Each participant whose story will be moderated, and will be published on the website, receives a small prize for participation. When there are 10 participants, a super prize will be won among them! Note: Your personal data will not be published, just a name or a nickname. It is easy to take part, leave your contact e-mail in the form below, our employee will contact you. The story should describe the treatment in detail - the specific drugs and how you applied them. It is necessary to attach photographs of the patient's nails, at least before and after treatment, preferably in the process too. Photos should be in high resolution, in the form in which your camera (or phone) gives them. You do not need to change and edit them, our employees will do it. These photos should not be published anywhere else. Join our VK groups, Odnoklassniki and other social networks and share this news.